I have been blessed to work with a great science team and I hope I have been helpful. There is a mixture of talents and strengths, but a common love for the oceans. Since there is always a need for reliable data, the entire team does their job with precision. I have enjoyed my conversations with them as we wait to get to a trawl location or for the nets to come in. There are all possible careers available on the oceans. From the NOAA Corps of officers, to the deckhands and fishermen, to the guys who work in the acoustic labs, to the engineers that make sure the ship is running properly, to the chief steward and second cook, to the science team, there are so many different potential careers if you love a life at sea. I interviewed a few members of my science team. Chief Scientist, Sue Manion, watches the deployment of a bongo net. always knew she would become a wildlife biologist. Her first position with NOAA was a temporary job as a Marine Mammal observer on a tuna fishing boat. 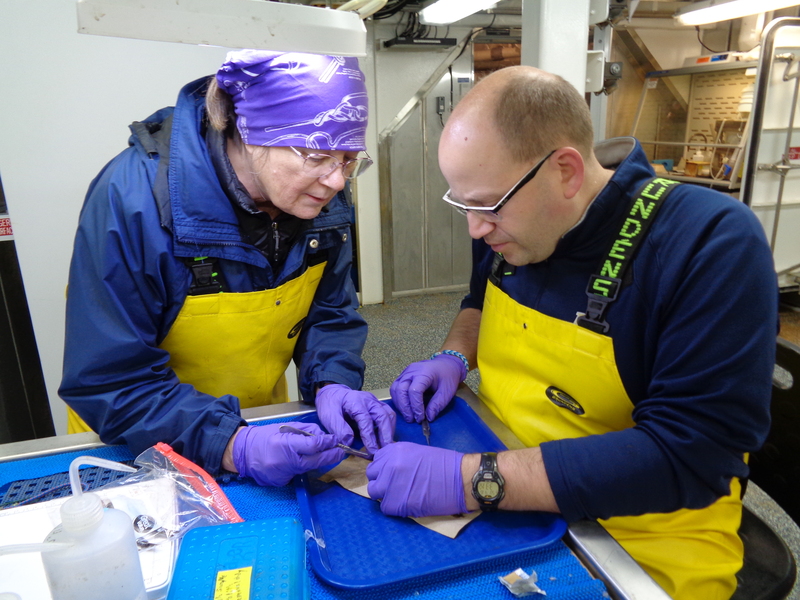 Sue told me that she loves the outdoor, physical work and never imagined she would get a permanent position as a sea-going fisheries biologist on the ocean. I asked Sue, what advice would you give to a student who wanted to pursue a career in marine sciences? I think I am finally “getting my sea legs.” I am not referring to sea sickness or getting around the ship. The last few days, I committed myself to experiencing as much as I can since my time aboard the Reuben Lasker is ending. I have had a lot of moments where I looked around and smiled because I never thought I would experience something like this. 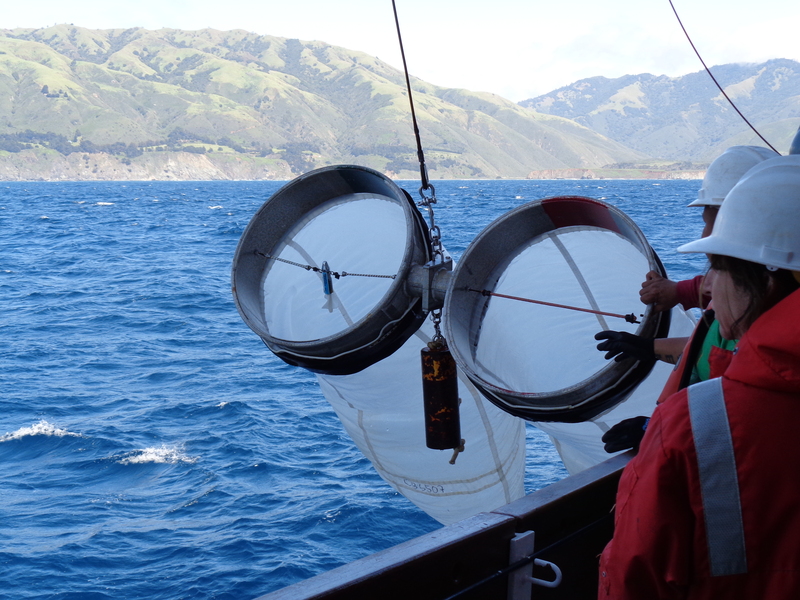 I hoped for a little more biodiversity in the trawls, but that is science field work. You get the data that you get. 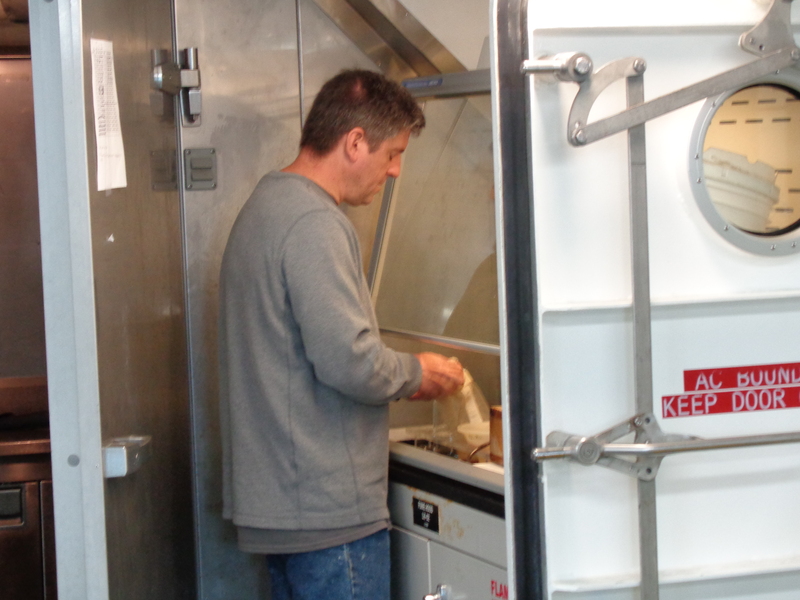 As I was sorting through seemingly endless pyrosomes, I had to take a moment and realize all that I have seen. I saw fish and marine invertebrates I only have read about. I saw a drone take off from a ship (I will share more about that later). I saw humpback whales swimming in pods from the bridge. I saw Pebble Beach golf course from the ocean. How many teachers get that opportunity? I am a lucky guy and am committed to “soaking it all in.” I am looking forward to seeing my family soon, but I will live for each day. 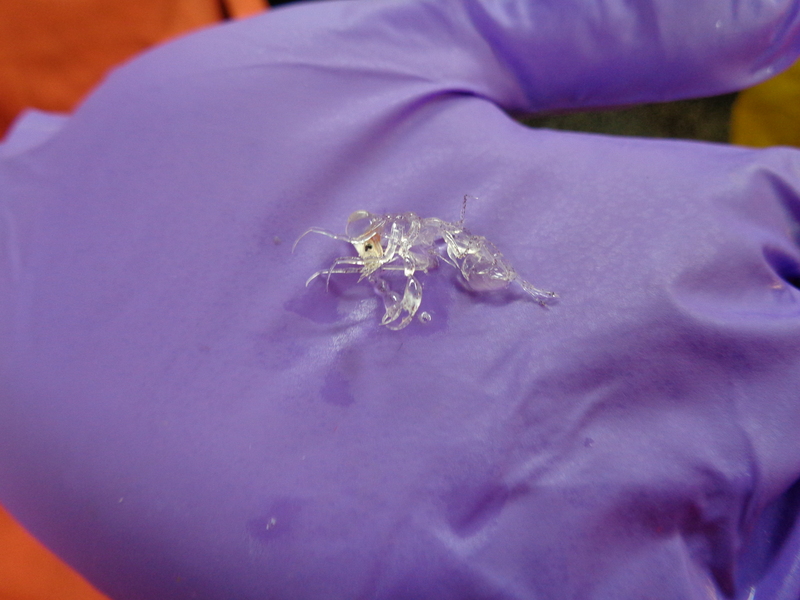 Phronima is a genus of amphipods that live throughout the world’s oceans. These semitransparent animals attack salps. They use their mouths and claws to eat the animal and hollow out its gelatinous shell. The females enter this cavity and lay their eggs inside. Phronima propels the salp through the water as the larvae develop which provides them fresh food and water. Hollywood used this animal as the model for the queen alien in the 1979 science fiction horror film, Alien. This entry was posted in 2017, Mark Wolfgang, NOAA Teacher at Sea and tagged Coastal Pelagic Survey, NOAA Ship Reuben Lasker, Pacific Ocean. Bookmark the permalink.